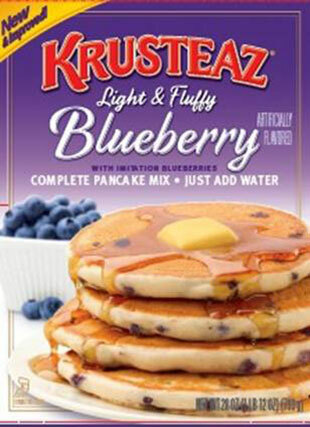 Kellogg Company announced last week that it is voluntarily recalling 15.3 oz. and 23 oz. 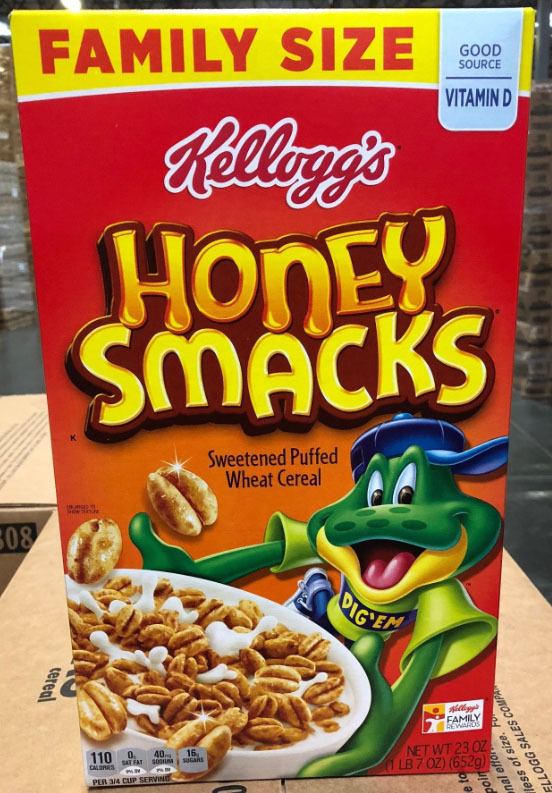 packages of Kellogg’s ® Honey Smacks ® cereal (with code dates listed below) because these products have the potential presence of Salmonella. 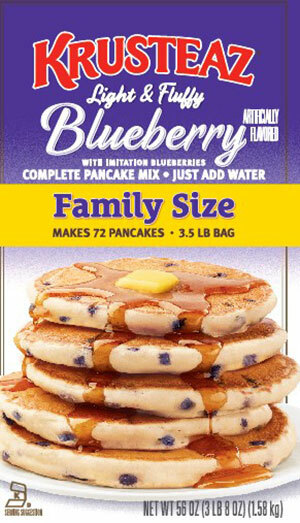 No other Kellogg products are impacted by this recall. Kellogg is asking that people who purchased potentially affected product discard it and contact the company for a full refund. 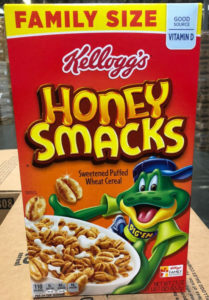 Consumers seeking more information, can visit kelloggs.com/honeysmacksrecall or call 1-800-962-1413 Monday-Friday, from 9 a.m. to 6 p.m. ET as well as Saturday and Sunday from 10 a.m. to 4 p.m. ET. The Centers for Disease Control (CDC) reports flu is now widespread throughout Michigan and many surrounding states. Area hospitals, urgent care facilities and doctor offices are experiencing an increase in the number of people presenting with flu and flu-like symptoms. They give tips below on preventing it and caring for yourself if you get it. Also note, in order to help limit exposure to flu, area hospitals and clinics are also limiting the number of visitors patients can have visit them or accompany them. All the info is below. It is important for our community to know how to prevent flu, when to seek care and where to seek care. Although the flu shot does not always prevent the flu, it can lessen the severity and duration. There is still time to get the flu shot if you have not done so already. If you are sick, stay home for at least 24 hours after your fever/symptoms are gone and you have stopped taking fever reducers. pregnant women and people with weakened immune systems or chronic conditions. Cover coughs and sneezes with a tissue. Throw the tissue away after it has been used and wash your hands. Most people with flu will have a mild illness and can treat symptoms by staying home and avoiding contact with others. If you have flu-like symptoms and are in a high risk group or are very sick, contact your health care provider, such as a doctor, physician assistant or nurse. If you are in a high risk group, contact your health care provider early in your illness. If you or a loved one experiences the emergency warning signs above, seek immediate care at a hospital emergency room. If you are experiencing shortness of breath, numbness, facial or arm paralysis, slurred speech or other heart attack or stroke symptoms, call 9-1-1 for immediate medical care. Grand Rapids area hospitals are working to meet the challenge of caring for our community during this CDC-declared flu epidemic. One of the most important tools in fighting the transmission of flu is limiting exposure. The flu can be especially dangerous to the young, frail or elderly. For the safety of patients and staff, Spectrum Health, Mercy Health, Metro Health – University of Michigan Health, Mary Free Bed and Pine Rest Christian Mental Health Services are limiting visitation to their hospitals. In addition, they are asking patients to limit the number of people who accompany them to office and clinic visits. If you are ill or have been exposed to someone who is ill, please refrain from visiting the hospital. Hospitals strongly recommend only two visitors or family members visit a patient at a time in order to limit exposure to patients, visitors and family members. These conditions apply to visitors at all Grand Rapids area hospitals and at all Spectrum Health hospitals outside of Grand Rapids and are effective until further notice. These measures are designed to protect vulnerable patients. Most symptoms can and should be treated at home. Only the most severe illnesses require a visit to an urgent care location or emergency department. Most people who contract influenza should try to stay home, rest, drink plenty of liquids and take acetaminophen or an anti-inflammatory medicine. For more info go to https://www.cdc.gov/flu/. The Kent County Health Department (KCHD) is teaming up with the Grand Rapids Griffins to stop a silent killer—lung cancer caused by radon gas. This Friday, January 6, 2017, at Van Andel Arena when the Griffins take on the Charlotte Checkers at 7:00 p.m., KCHD staff will be there armed with thousands of radon test kits. They will be situated in the upper concourse near section 128, and will give the kits away while supplies last. For those not attending the Griffins game, KCHD is offering free radon test kits to Kent County residents at all three of its locations until the supply runs out. Colorless and odorless, radon gas kills more Americans annually than drunk driving and drowning combined according to the U.S. Environmental Protection Agency. The Centers for Disease Control (CDC) says more than 20 thousand deaths are caused by radon each year making it the nation’s second leading cause of lung cancer next to smoking. 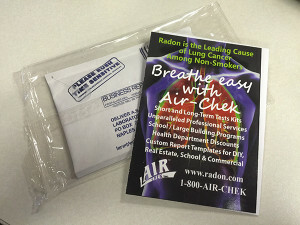 The Kent County Health Department (KCHD) recommends that all homes should be tested for radon every few years. Testing is the only way to know if radon is present in your home. People using the kits will receive their results via email once the kit is received and tested. Residents can use the information when deciding on how best to pursue remediation. For help understanding the test results, please contact the KCHD Environmental Health Division at 616-632-6900. Radon occurs naturally in the ground. It seeps into buildings through cracks or openings in foundations or floors. It occurs in both new and old homes. Radon has been found in houses built over a basement, over a crawlspace or built on slab-on-grade. The EPA and the U.S. Geological Survey have developed a map of risk zones for the United States. You can view the risk maps by clicking here. Kent County is typically categorized as having moderate to high levels of radon. Kent County Health Department, 700 Fuller Avenue NE, Grand Rapids. KCHD North County Clinic at 4388 14 Mile Road NE, Rockford. KCHD South Clinic at 4700 Kalamazoo SE, Kentwood. This is the skin of a patient after 3 days of measles infection. Treated at a New York hospital. Photo from CDC.gov. Following the recent confirmation of two measles cases in the Traverse City area, the Michigan Department of Community Health (MDCH) is reminding all residents to protect themselves against the disease by making certain they are up to date on their vaccines. Michigan is now among 23 states that have reported cases of measles in 2014. The Michigan cases were unvaccinated and were exposed to measles during travel in the Philippines. Additional cases are under investigation. 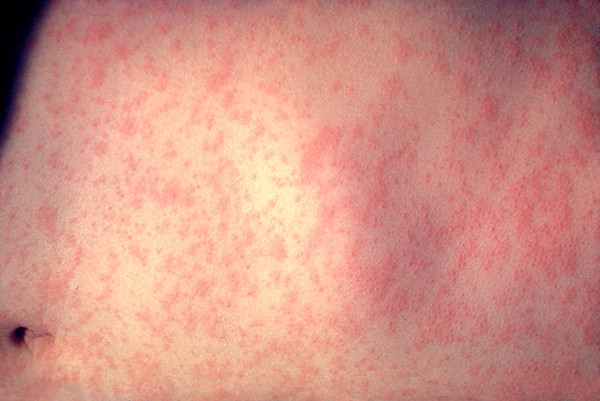 From 2001-2012, the average number of measles cases reported nationally per year was 60. According to the Centers for Disease Control and Prevention (CDC), there have been more than 600 cases reported this year in the U.S., and the vast majority of cases have been among persons who had no history of vaccination against measles. (BPT) – Ready for this year’s flu season? You may think you know a lot about flu prevention and treatment – but being wrong about the flu can make you downright ill. Here are six myths about the flu, and the truth behind them. Myth 1: Cold weather will give you the flu. Fact: Although flu cases commonly peak in January or February, and the “season” usually lasts from early October to late May, it is possible to get the flu at any time of year. During cold weather, people are inside in confined spaces for greater amounts of time. This, combined with bringing germs home from work or school, creates more opportunities for the flu to spread. Myth 2: If you’ve had a flu shot, you can’t get sick. Fact: It takes about two weeks for the flu vaccination to fully protect you, and you could catch the virus during that time, according to the Centers for Disease Control and Prevention. Since the flu vaccine protects against specific strains expected to be prevalent in any given year, it’s also possible for you to be exposed to a strain not covered by the current vaccine. Finally, the vaccine may be less effective in older people or those who are chronically ill, the CDC says. Myth 3: Once you’ve treated a surface with a disinfectant, it is instantly flu free. Fact: Disinfectants don’t work instantly to kill germs on surfaces. In fact, some antibacterial cleaners can take as long as 10 minutes to work. And they have to be used correctly. First, clean the surface and then spray it again, leaving it wet for the time specified on package directions. Anything less and you may not kill the flu virus, exposing yourself and others to illness. If you’re including antibacterial cleaning in your flu-fighting efforts, look for a product that works much faster, like Zep Commercial Quick-Clean Disinfectant. Available at most hardware and home improvement stores like Home Depot, Quick Clean Disinfectant kills 99.9 percent of certain bacteria in just five seconds, and most viruses in 30 seconds to two minutes. To learn more, visit www.zepcommercial.com. The flu virus can live up to 24 hours on surfaces such as counters, remote controls, video game controllers, door knobs and faucets. Use a household cleaner that disinfects to clean these high-touch surfaces to help prevent your family from spreading the cold and flu. Myth 4: You got vaccinated last year, so you don’t need a shot this year. Fact: Like all viruses, flu viruses are highly adaptable and can change from year to year. Also, the strains vary each year, so the vaccination you got last year may not be effective against the flu that’s active this year. In fact, it most likely won’t be effective. The CDC recommends that people who are eligible for the vaccine get a flu shot by early October. Myth 5: You got the flu shot, wash your hands frequently and disinfect religiously – you’ve eliminated your risk of flu exposure. Fact: We don’t live or work in sterile environments. Germs are brought home every day on items like messenger bags, cell phones, notebooks, shoes – even on your clothes. 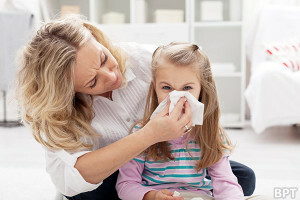 If someone in your home gets sick, or is exposed to someone with the flu, cover coughs and sneezes with a tissue, and discard the tissue in the trash right away. Wash hands often with soap and water or an alcohol-based hand sanitizer. Remember that germs spread through touch, so avoid touching your eyes, nose or mouth. Myth 6: Getting the flu isn’t that big of a deal. Fact: It could be. Last year was the worst flu season since 2009, the CDC said, and during the week of Jan. 6 to 12, 2013, more than 8 percent of all deaths nationwide were attributable to flu and flu-related pneumonia. In addition to making you miserable, flu can make existing medical conditions worse, lead to sinusitis and bronchitis and even pneumonia. Bottom line: if you are not feeling well, avoid making yourself and others around you sick by staying home. The Michigan Department of Community Health (MDCH) has been notified by the Centers for Disease Control and Prevention (CDC) that 25 patients out of 34 persons tested so far are positive for enterovirus D68 (EV-D68). Most were hospitalized and one patient, a child less than 1 year of age from Washtenaw County, developed lower extremity paralysis. The United States is currently experiencing a nationwide outbreak of EV-D68 associated with severe respiratory disease. Michigan has seen an increase in severe respiratory illness in children across the state, and the department is working with the CDC, Michigan local health departments and hospitals to monitor the increase. Enteroviruses are very common viruses; there are more than 100 types. It is estimated that 10 to 15 million enterovirus infections occur in the United States each year. Symptoms of EV-D68 infection can include wheezing, difficulty breathing, fever and racing heart rate. Most people infected with enteroviruses have no symptoms or only mild symptoms, but some infections can be serious requiring hospitalization. Enteroviruses are known to be a rare cause of acute neurologic disease in children, such as aseptic meningitis, less commonly encephalitis, and rarely acute myelitis and paralysis. Enteroviruses are transmitted through close contact with an infected person, or by touching objects or surfaces that are contaminated with the virus and then touching the mouth, nose, or eyes. There is no specific treatment for EV-D68 infections but supportive care can be provided. Disinfect frequently touched surfaces, such as doorknobs, especially if someone is sick. For additional information about EV-D68 or the national investigation, visit the CDC website at http://www.cdc.gov/non-polio-enterovirus/about/EV-D68.html.